As reported by the Royals' beat writer Andy McCullough, Tim Collins hopes to be ready to return from Tommy John surgery by next spring. 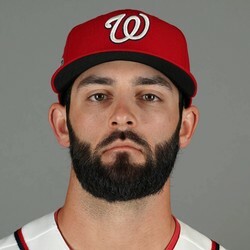 Tim Collins left his first spring training outing with pain in his throwing elbow and had TJ surgery last week. The 25 year old has made 228 appearances and recorded 44 holds with a 3.54 ERA. Expect him back in action by the All-Star break in 2016.